news Three rare Leicas are up for sale in June – but if you want all of them you are likely to need over a million bucks! 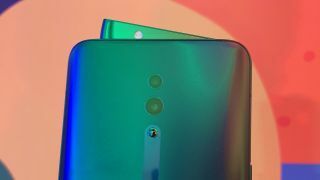 The best camera phone in 2019: ultimate smartphone cameras on test Our ultimate guide to the best camera phone. Our ultimate guide to the best camera phone. New Canon 50mm f/1.4 – an EF-mount Defocus Smoothing lens? NEWS Could pop-up LED replace pop-up flash – another step towards cameras catering to videography over stills? Take to the sky, or zoom through your home. Whether for fun, speed, or photography, your first drone needn't break the bank. Review It's a messenger bag, a small camera bag, a laptop sleeve, an overnight airline bag... it's everything! Review Is this the ultimate external storage for photographers? Review Huawei has done it again, creating the camera phone to beat. Review How good is the new kit zoom for Panasonic's new S1 and S1R full-frame mirrorless cameras? Review The Panasonic Lumix S1R is the highest-resolution full frame mirrorless camera yet to hit the market. REVIEW With its 24-400mm equivalent focal range, is Olympus’ 16x superzoom the ultimate travel companion?